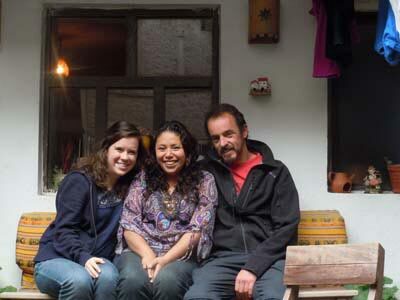 Volunteer Katie Engquist with gracious hosts Tatiana and Yuri. 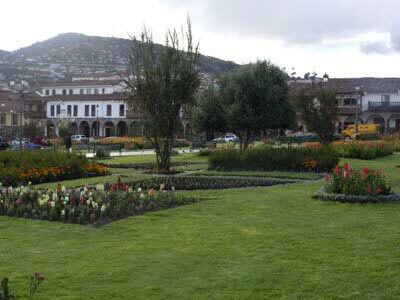 The lush plant life of Cusco's main plaza. There is abundant vegetation throughout the city, and there was even an apple tree in my front yard. Hard to believe the city is located at 11,200 feet! 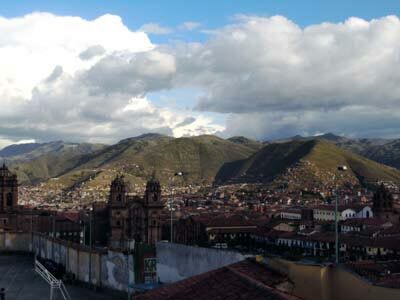 Overlooking the city of Cusco, surrounded by green hillsides. 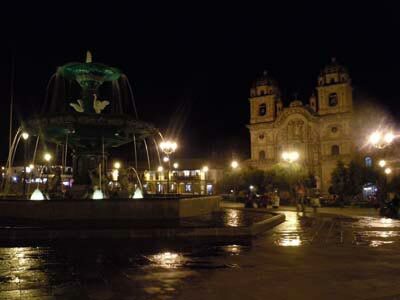 Night falls on the main plaza in Cusco. Election day in Ollantaytambo. People lined the courtyards of the elementary school and the high school, all waiting for their turns to enter their assigned "voting rooms." 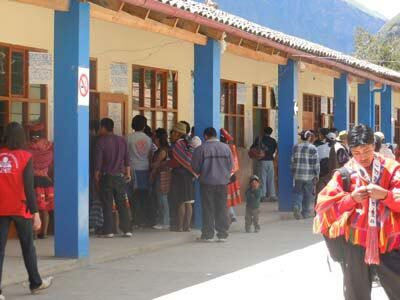 People living in the surrounding villages all had to report to Ollantaytambo to vote. Voting is mandatory in Peru, and you are fined substantially if you don't vote. 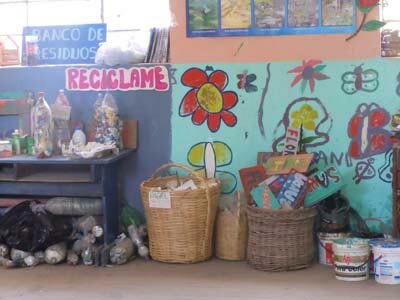 "La Tierra de Niños," an environmental education program and volunteer project at the elementary school in Ollantaytambo. 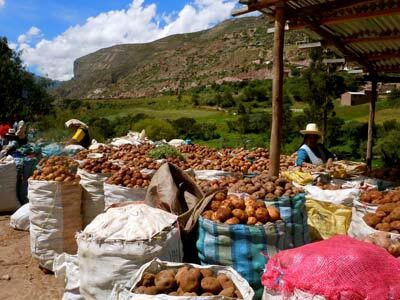 An impressive display of potatoes at the market in Urubamba, half an hour outside of Ollantaytambo. 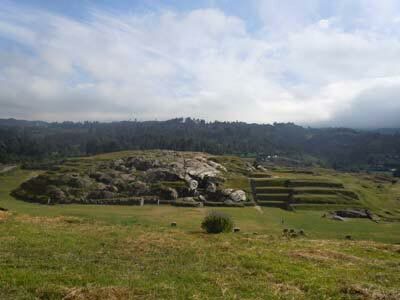 Over 2,000 varieties of potatoes grow in Peru!! They really do come in all shapes, sizes and colors, and many have very distinctive tastes. The potato is a staple of the diet in Ollantaytambo, and I enjoyed trying many of the different kinds during my stay. 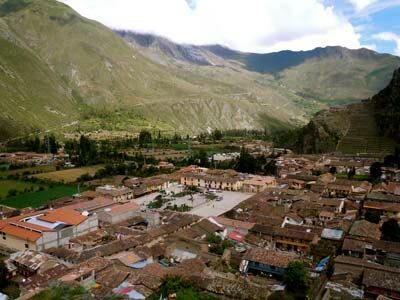 View overlooking Ollantaytambo and its main plaza.